Lungs Full of Noise begins with "Mariposa Girls," a short story about figure skaters who go to lengths more and more bizarre in order to be the absolute best. I was instantly reminded of the quirky, outlandish fables in Aimee Bender's The Color Master, so my first reaction was one of pure glee. That feeling never waned. 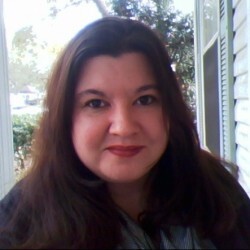 Although I was reminded of the thrill I get from reading Aimee Bender, Tessa Mellas has a unique and distinct voice that is her own. The twelve stories in this collection are diverse, incredibly creative and most peculiar, sometimes even Kafkaesque. "opal one, opal two" was unlike anything I've ever read. "Bibi from Jupiter" was probably my favorite, about a college student whose roommate is an alien. From Jupiter. The planet, not Florida. "You'd think she at least would have tried to fit in. I think she liked being different" may have been prompted by a green alien, but it reminds readers of attitudes that are all too familiar. 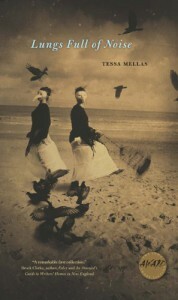 Tessa Mellas won the 2013 Iowa Short Fiction Award with Lungs Full of Noise; she's certainly one to keep an eye on. I was completely enthralled by these stories, and can't wait to read more from her!